Choose from an unmatched selection of books, NOOK Books ™, CDs, DVDs, toys, games, and more. It can also be redeemed for the Nook eReader devices. Good at all Barnes & Noble stores, Barnes & Noble College Booksellers LLC, and online at Barnes & Noble.com (www.bn.com). 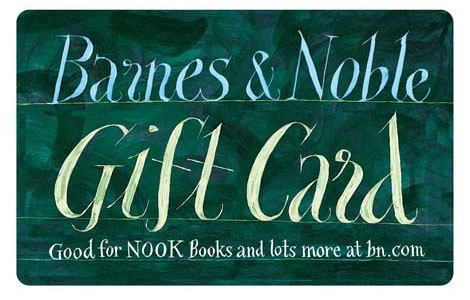 National Gift Card is the best place for you to order Barnes & Noble gift cards in bulk. We are the experts in all things gift cards and can set up your gift card solutions program for you today. Please contact us for more information on bulk, direct-to-recipient, or individual gift card fulfillment for your gift card program. Contact us here or call us at 888-472-8747 today! Choose from an unmatched selection of books, NOOK Books™, DVDs Blu-rays, toys, games, and more. It can also be redeemed for NOOK devices. Good at all Barnes & Noble stores, Barnes & Noble College Booksellers LLC, and online at Barnes & Noble.com (www.bn.com).